Northern Woods Craftsman Enterprises is a privately owned creative home and furniture finishing production enterprise, training youths in plastic wood waste recycling innovations and fabrication of electrical equipment and machines thereby, producing high-end arts and crafted works for home and office users that are inspired by the arts and crafts tradition. Our product and services ranges from Cool-roofing sheets, Cool-homes 3D Decorative and landscaping tiles from recycled plastic waste, furniture, recycled wood crafts, medallions/on-lays, architectural trims and decorative on-lays/tiles, crafted wooden beds/doors and table tops, picture frames, royalty wall clocks and other species of custom wood works including fabrication of woodworking machines and other relevant machines in the Agricultural sector. 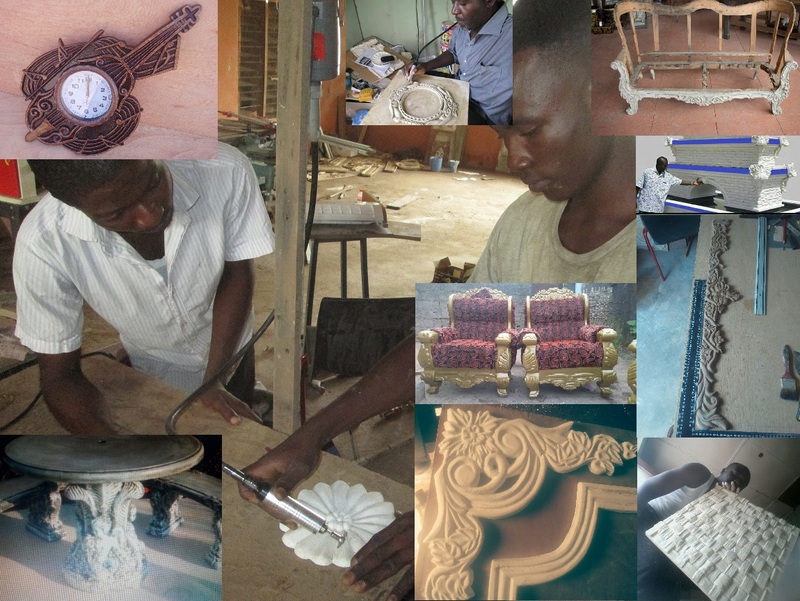 Our concern is to provide our customers with luxury homes and furniture as well as ornamental gift items. We are also concern about how we can use our experience in designing to come up with innovations that are capable Creativity in arts is what we are using to demonstrate a wide variety of options and ideas, incorporating our inborn talent, experience from both local and international training and use of modern electrical tools into creating unique designs for home and furniture decoration using plastic and wood waste. Our vision and objective is to within the next 3 years become a national centre for creative wood/plastic waste recycling innovations that exceed expectations and training of technical personnel in wood/plastic recycling ideas and entrepreneurship, and to focus on the new channels to increase sales beyond the N45,145,430 mark by 2021. Maintain a gross margin close to 60%, despite the sales increase. Increase the net profit significantly by 2020. To regenerate brand equity at the markets we intend to cater to the supplier and distribution networks. Positioning Northern Woods crafts furniture and home finishing products from recycled plastic waste in the market. As a new idea after registration in 2016, we started light production sometime in June 2017 and since then we have recorded significant progress in some direction. At the moment we can only accommodate 7 youths for training in a year and hope to increase to 20 or 30 applicant in the near future after expansion. We give attention to the weakest in the community when accepting applicants for training, and because of that we have 2 apprentice, an 18 year old and another 23year old who have lost both parent and have to take care of themselves. More significantly, apart from the little projects in recycled plastics and woodworks and the publicity we have witnessed within the period, we have been able to fabricate a computer numerical control (CNC) router for our stencils in molds making, a plastic extrusion line which we hope to start using in February, 2019. As an entrepreneur focused on creating social impact project, we looked into pressing issues of challenge to our country; food saving which has brought huge losses to farmers all year round; dry-land challenges which contribute significantly to farmer herders crises in the country and plastic waste. We have successfully design an industrial food-saver machine to help extend lifespan of perishables food items and a perpetual surface water pump system (free energy) from local material to power artificial swamps, pasturelands, smart agriculture, etc (all at Prototype) and will be showcased at the next Science & Technology Fair in Abuja, February, 2019 by the grace of God. We would in the next 3 years focus on developing channels for our products and to introduce new products in the 5th year. Domestic consumption growth rate for our sector can be estimated around 20% and export markets are almost entirely untapped. As a new company we have internal/external issues. We apply modern technology into wood/plastic waste recycling the way it is not known in our area. People are amazed by our object-duplication techniques and use of moulds and casting in woodworking, an indication of our top skills. Our expertise enable use the ability to withstand high demand though our strength depend on continues improvement on creativity. Hiring and outsourcing sound technical workforce is our weaknesses, though it granted us opportunities to adopt standardized test-taking during recruitment. The threats unfavourable to us are increase value proposition, outsource delivery functions which we looked up to from the profits generated from sales. The Initial financing need of the company is N29,541,300. We intend to raise through personal savings, SEED Capital, Government grants and gradual savings from sales realized within the next period of 3years to cover office space, equipment, van, advertising and training. If our partners provided N10,000,000 jointly, the total cost of the project will be estimated at N39,541,300 Our target market is a person who wants to have very fine arts creative wood works and furniture with the latest in technology, combined with an old fashioned sense of fine woodworking. 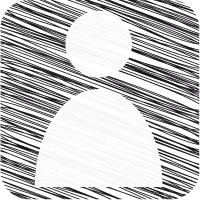 This person can be in the corporate towers, small or medium business, or in a home office. The common bond is the appreciation of quality, and lack of price constraints. Our segment definition is strategic. We are not intending to satisfy all users of wooden arts crafts furniture/architectural trims finished products, but, rather, those who are most demanding. We are definitely out to address the needs of high-end buyer, who is willing to pay more for quality. We also seek the buyer who appreciates the attributes such as excellence of design, with an understanding of technology and creative built-in. Mrs. Laila Umar and Idris Adamu are founders and partners in the Project. Both resident in Bali, Nigeria. As a creative woodworker, Idris design ornamental gifts items as a hobby. Having leaved together for about 15 years, Laila Umar came up with the idea of turning the creativity into a venture. Laila Umar is from Birnin Kebbi, Kebbi state, was born in August 1987 where she spend her early live and later move to Bali Taraba state in 2009. 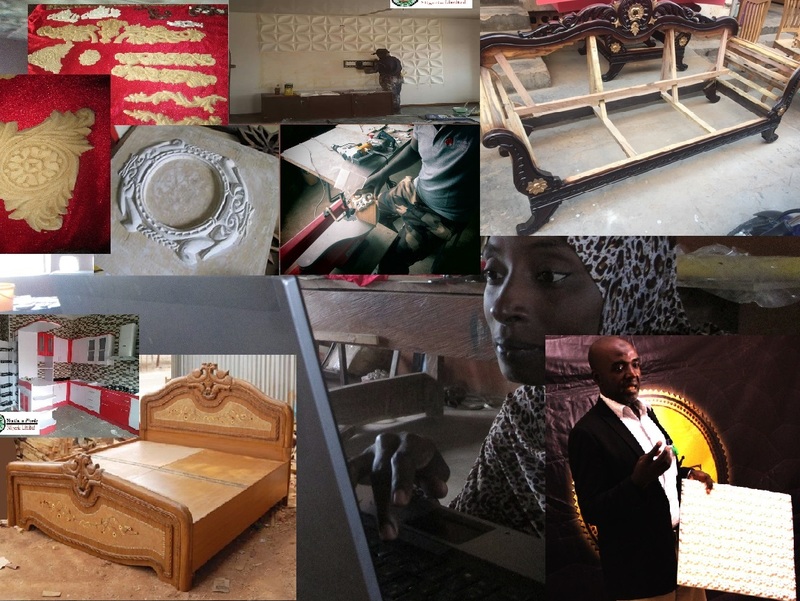 Idris Adamu, an indigene of Sardauna area of Taraba state was born in 1975, became passionate in woodcraft since his early years though the idea of turning this passion to business was realized by Laila Umar who became partners in the business. We started as an idea in 2016. In the same year was recognized by the Tony Elumelu Foundation and selected among 1000 African best ideas of the year 2016, becoming Alumni member of the Foundation and joining the largest network of African Entrepreneurs. Since then we have participated in numerous national and international auditions, mentorship/training and entrepreneurship activities including the recent interactive meet-up of 2000 African entrepreneurs with the French President in Lagos. Early April 2017, we were selected to participate in the Adansonia entrepreneurship programme of Bocconi University Milano, Italy (a research programme). Within 20 months of operation we have gain recognition in various activities including membership of the African Young Entrepreneurs (AYE) and also selection among grant winners of the Young Entrepreneurs of Nigeria (YEN) 2018. Though, yet to graduate first badge of apprentice, on 14th January 2018, we organized a campus outreach event Breeding Innovation for Economic Growth at Federal Polytechnic Bali, over 700 youth attended and same on 19th January at the taraba state University with more than 300 Academic staff in attendance. Thanks to all for your commends and views on my project. I believe that no matter the differences in our ideas and projects, we have one pursue and goals. And for how I intend to transform my project in the near future, I am going to do that by developing new channels, connections and network to at least positioned my brand in the next two years. We are happy that we are part of this program and at same time we are ready and willing to carry this project to a higher level with all your supports and comments, Thank you for the positive views and comments on this project. Together we can create impact initiative around the world .. Thanks to everyone for providing me with useful comments on my project. really we have a lot of community issues to address ranging from poverty, health, youth engagements, development, etc and I believe everyone of us who started to do something in order to address one of these challenges is a great leader. Let us continue to be the change ambassadors of our communities. wow, this is a wonderful idea that intends to curb the hard biting issue of poverty among the unemployed youths who have the potential to inject their innovation and research coupled with their exposure to steer their efforts to sustainable livelihoods. please consider supporting my idea too using the link below. I am really inspired by your innovations in wood work, If we have 10 of your type in the northeast it will provide youths with opportunities to learn these viable and profitable venture. Everyone who loves beauty will like your products and that alone is enough to attract the youth who will become engaged, empowered and the economy of the region will improve. you mentioned about taking only 20-30 applicant for training, is that figure not small considering that more than 5 times that number of youth will want apply for the skills. The continent of Africa is divided into north of the Sahara desert mostly Arabs peoples living in such countries as Morocco, Algeria, and Egypt. The sub-Saharan Africa varies greatly across Victoria Falls, in Zimbabwe, and snow-capped mountains such as Kilimanjaro are in sharp contrast to dry plains and tropical rain forests. The differences in physical structure also produced different cultures. Each culture has a distinct Arts and Craft tradition. Northern Woods Crafts I hope will give use a fresh inside to the culture that resulted in beautiful, functional designs that enhances the interiors and exteriors of Classic Arts & Crafts homes in African. Interesting, I will send my younger Bros to learn some skills from you. You are really curative in Wood works. This is amazing how these piece are designed to make a perfect creative wood work. Your handwork Strikes me. 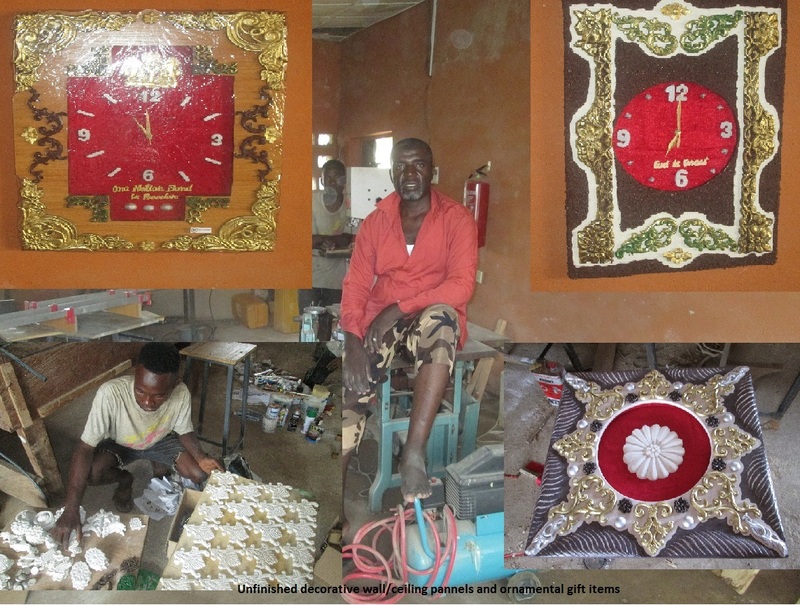 Adamu I., you add artistic flair to these craft final works, I need not search far for interior decorations, it's an advantage for me to walk down to your workshop for my adventure and purchase . Excellent timber business training project. Through this project can produce wooden craft products, decorations and so on with artistic artistic value is very high by artists who have good creativity. Very inspiring.